This is a historic moment in the global HIV/AIDS response. For the first time in modern history, we have the opportunity to control a pandemic without a vaccine or a cure; laying the groundwork for the eventual elimination or eradication of HIV through future scientific discovery. The United States of America, through the U.S. President’s Emergency Plan for AIDS Relief (PEPFAR), is firmly focused on controlling and ultimately ending HIV/AIDS as a public health threat. 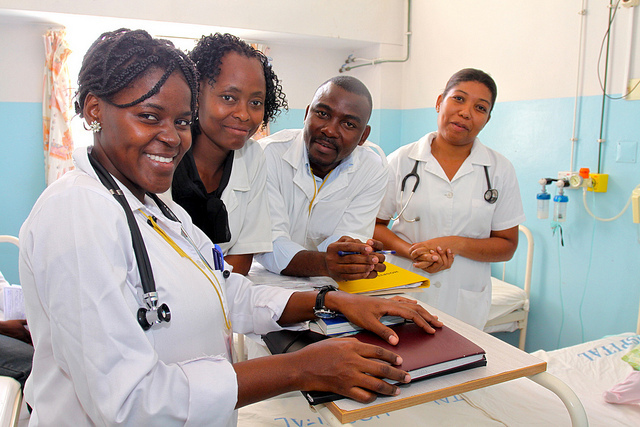 Working in over 50 countries, PEPFAR supports innovation to improve program performance, maximize efficiency, and increase impact. These solutions allow PEPFAR to save more lives, prevent more HIV infections, and accelerate progress toward achieving epidemic control. PEPFAR country teams and implementing partners are accelerating efforts to control the HIV/AIDS epidemic. PEPFAR is looking forward towards the future of HIV with emerging technologies and innovations. Ready to take the next step? Here are some practical tools that can facilitate HIV program implementation.